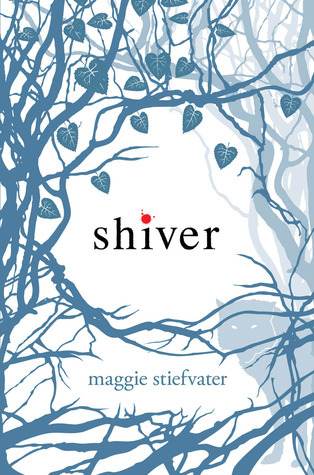 Shiver has been in my TBR plie for a while but I wasn't exactly itching to read the book. There's mixed reviews on it but people who share my book tastes recommend it to me. Still, I was hesitant because I was hugely disappointed with Scorpio Races. Anyway, after reading The Raven Boys, I decided to finally give it a go. Grace and Sam share a kinship so close they could be lovers or siblings. But they also share a problem. When the temperature slips towards freezing, Sam reverts to his wolf identity and must retreat into the woods to protect his pack. He worries that eventually his human side will fade away and he will be left howling alone at the lonely moon. The concept of the book is wonderfully simple (even the temperature wolf stuff is simpleand extremely awesome and unique) but this simplicity gave way to Stiefvater's complex writing. Such beautiful prose. They weren't mere words. They evoked colours, touches, sounds, emotions. Everything came alive. “I'd found heaven and grabbed it as tightly as I could, but it was unraveling, an insubstantial thread sliding between my fingers, too fine to hold." "As the hours crept by, the afternoon sunlight bleached all the books on the shelves to pale, gilded versions of themselves and warmed the paper and ink inside the covers so that the smell of unread words hung in the air." "I said uselessly, "Sam, don't go." Sam cupped my face in his hands and looked me in the eyes. His eyes were yellow, sad, wolf, mine. "These stay the same. Remember that when you look at me. Remember it's me. Please." I admit, there were times when the story moved slowly that I sat there thinking, "Where the hell is this going?" But those thoughts were immediately drowned out by more beautiful prose then I just carry on reading. It was romantic, sweet and heart-warming. Grace and Sam just fit together- Grace the analytic, orderly, non-fiction and Sam the poetic, clinging on to his hard to his humanity. (I wish there were more guys like Sam... sigh) Also, I knew how it was going to end, since the next book is called Linger, but that didn't stop me from sobbing my eyes out, heart broken. So Stiefvater must have been doing something right. I've heard lots of people compare Shiver to Twilight. Twilight. How these people got this idea etched in their brains, I haven't got a clue. Shiver is nothing compared to Twilight. It's in a different level all together. I can't believe I'm making this argument. It's ridiculous.